Since this week we commemorate World Water Day, today’s photographs are all about WATER, a resource many of us (myself included) often take for granted. 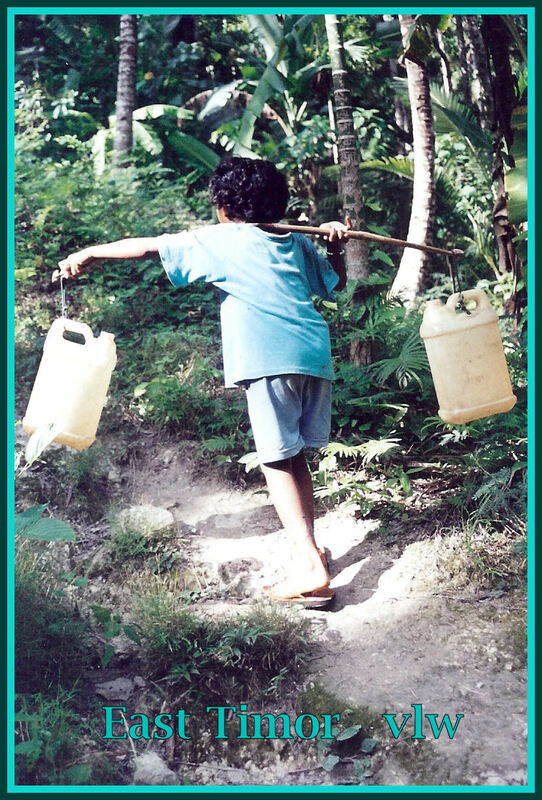 After living places where every drop had to count (managing a ‘shower’ & washing my hair with a 1 litre bottle of water) & then coordinating a safe-water initiative for 14 countries (during a globetrotting job) I so appreciate that water is a lifeline for people & communities. 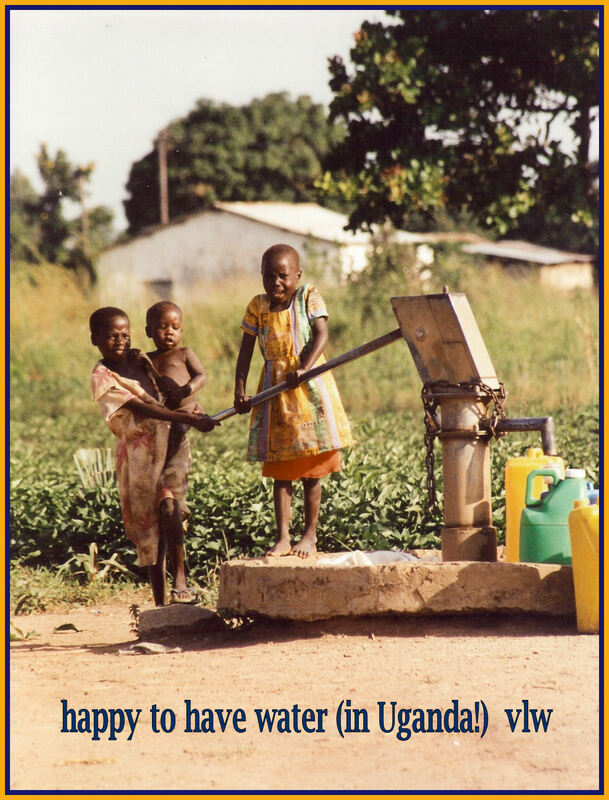 After visiting Uganda & seeing this water source that served a village (not safe water by a long shot), I took this picture & then put it up on my office wall as a daily reminder when the going got tough (writing proposals to raise $18 million for every kind of water project you can imagine.) How would you like to drink from this source? 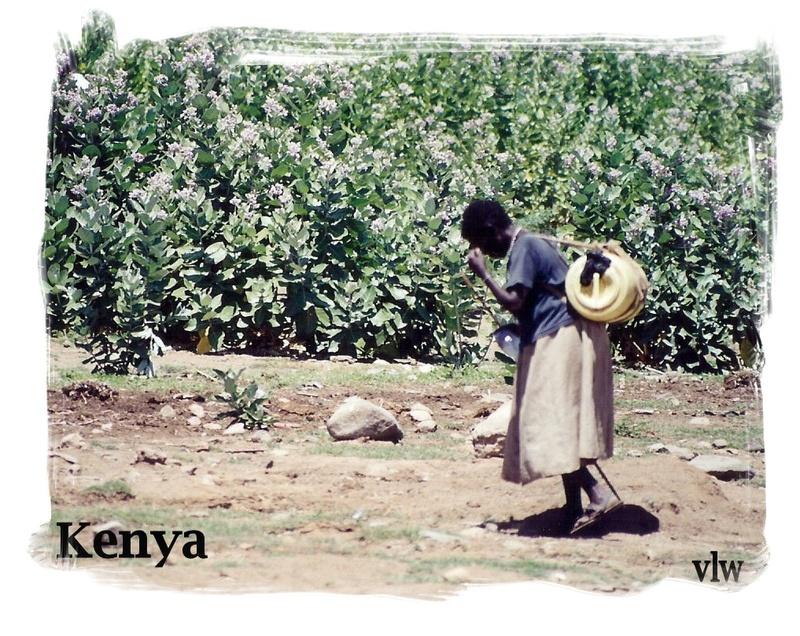 Then there’s the issue of accessing water sources, the time and labor spent mostly by young girls to carry water home for their families. Often they don’t get a chance to go to school because the water source is so far away, sometimes 10 miles or more. 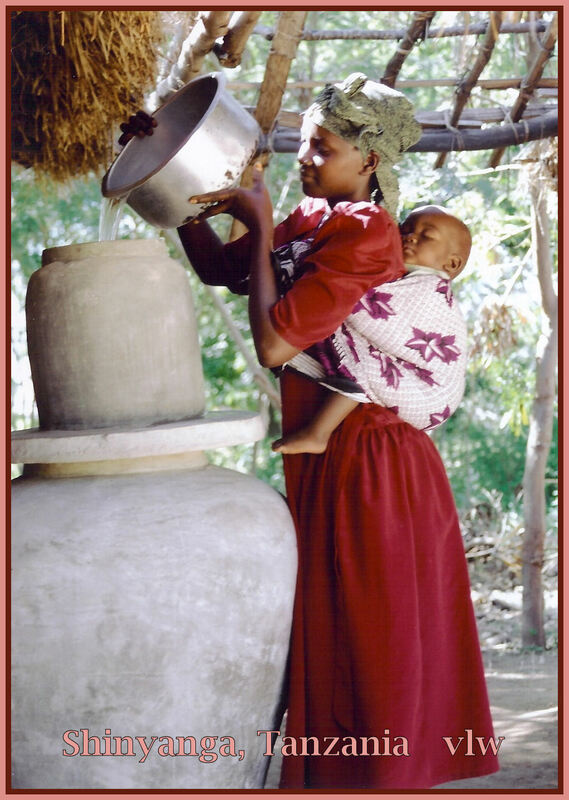 It’s also important to have affordable filtration systems (like this one in Tanzania) to make sure water is safe to drink, given many diseases caused by polluted water. When communities have access to safe, clean water like this bore-well, it does make everyone happy: there’s more time for women to engage in micro-enterprise, girls to attend school, and even time for children to PLAY! 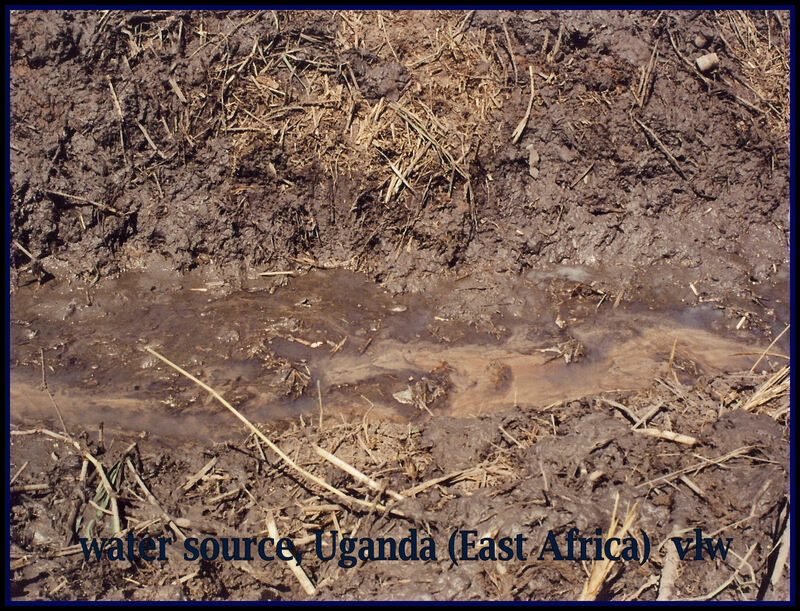 This entry was posted in Advocacy Issues, Lent, SNAPSHOTS & WHATNOTS and tagged Access to safe water, Africa photos, water photos, world water day, World Water Day 2012. Bookmark the permalink. We sponsored a well through play-pumps (the steve case water project) and they told us of a woman who tasted clean water for the first time and wept because she had been told that Jesus was the Living Water but never knew how sweet water really was. Thank you Virginia. Reblogged this on Roses in the Rubble.